GREENVILLE-Mildred M. Church, 93 passed away on December 2, 2016 at Diversicare of Greenville, formerly Belle Meade. Mrs. Church was born in Franklin, TN. on December 2, 1923. She was preceded in death by her husband, Clyde H. Church Jr. in 1978. Mrs. Church moved from Owensboro, KY to Greenville in December 2011. They had lived in Owensboro since 1959. Mrs. Church was an active member of Trinity Episcopal Church until moving to Greenville. 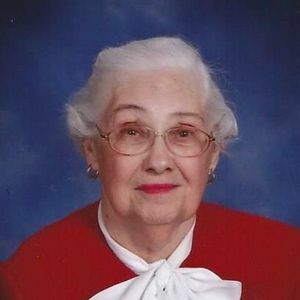 In her younger years she did volunteer work at many different places in Owensboro. She is survived by two daughters, Mary Clyde (David) Baxter of Greenville, Julie (Ted) Emig of Macon, Georgia; four granddaughters, Mary Michele (Chris) Lovell of Lancaster, KY, Amy (Corky) Bard of Owensboro, Traci Emig of Atlanta, Georgia, Sara (Stan) Meyers of Augusta, Georgia; four great-grandchildren, Nia and Tyler Bard, Brenna Lovell and John Meyers. A private graveside service will be conducted at Frankfort Cemetery in Frankfort, Kentucky on Tuesday, December 6, 2016 at 3:00 PM EST with Rev. William Jesse Neat officiating. 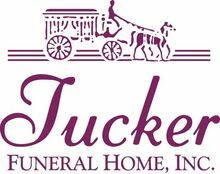 Tucker Funeral Home in Central City is in charge of arrangements. Memorial gifts may be sent to hospice of Western Kentucky, which is the last volunteer position Mrs. Church held. Or gifts can be given to the charity of your choice in her memory. Online condolences can be made at www.tuckerfuneralhomes.com. Aunt Millie, Uncle Clyde and their special family touched our lives in a special way. Many loving moments and great memories will last for ever. Thoughts and prayers are with you. I will always remember her with love. We used to talk often.She was big in my mothers life. Mary, So sorry for your lost. Millie and Clyde Church were very good friends to my mother when Mom was going through a difficult time, and I have many fond memories of long visits at their house on Griffith Place West. I'm very glad I was able to see her some years ago at my niece's wedding in Owensboro. God rest her soul and give you all peace. So sorry for your loss. Your mother was a special person in my life and in the lives of Dad and Anne. Thinking of you this week. Millie was one of the best volunteers we have ever had here at Hospice of Western Kentucky. She faithfully gave of her time and talents for several years. Such a sweet soul that will be dearly missed. Our thoughts and prayers are with her family. Mary Clyde and Julie. I think of your mother every once in a while. I was her neighbor on Duke Drive. I went to see her when she was at One Park Place but she didn't remember me. I am sorry for your loss. Mother. I know we were very fortunate to have ours for a long time.